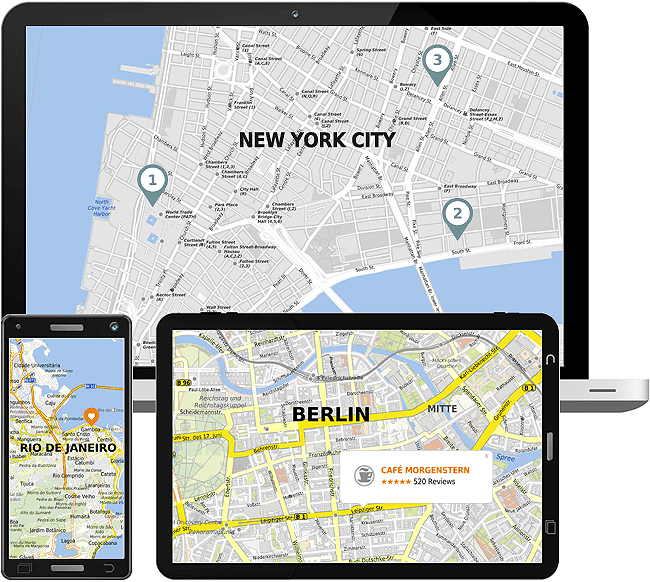 mapz.com offers city, regional and country maps of the entire world for immediate download. You can also add interactive versions of the same maps to websites and apps. Our maps are produced by Kober-Kümmerly+Frey using geographic data from the OpenStreetMap project. They are updated regularly, and continually optimized for screen and print applications by experienced cartographic designers. Download map sections to your computer, for further use in any application. Use our maps in your reports. Add a location map to a real estate flyer, or print a tailored folding map for a special event. For high quality prints, you can choose between editable PDF vector format, raster data in PNG and JPG formats, and Photoshop files with a separate text layer, each in a range of resolutions. We also offer an API, a print API, embed codes and WMS services, which allow you to add our maps to websites and apps, and use them in GIS and BI systems. Select the required map in our map editor. Choose a section and set the design parameters and resolution, then download the map immediately. Our high-definition maps are available in resolutions of up to 400 dpi and as editable vector files, for professional quality printing. To embed an interactive map – for example, on your website – open the "My Maps" section and choose one of your licensed maps. Next, click the Embed Code option to access the embed code for the map and add it to your site in the desired location. Example of an embedded interactive map of Berlin. Points of interest and areas marked using the editing tool will be displayed automatically. The map is interactive; your users can scroll and change the zoom level. Our embedding tutorial includes instructions on how to embed maps. App and web developers use our API, to automatically integrate maps in their applications and add additional information from databases. API stands for Application Programming Interface. The system allows software components to exchange information quickly and easily. This standardized process makes it simple to automatically add our maps to websites, real estate software and mobile apps, and use them in a large number of other applications. mapz.com offers high-performance Retina-resolution maps of every metropolitan region. Have a look at our API documentation! 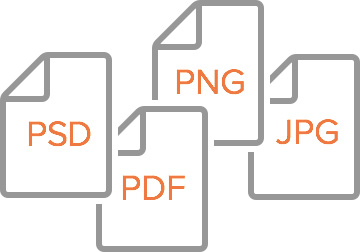 Our print API allows you to retrieve high resolution data automatically for print applications. It is ideal for the database-supported production of travel brochures and guide books, real estate flyers or direct mailings including city, regional and country maps. Automatically download map sections in standard graphics industry formats using HTTP requests and add your own database content. mapz offers its maps as JPG, PNG and text-separated Photoshop files, at resolutions of up to 400 dpi, as well as editable PDF files. Our print API documentation provides an introduction to our extremely simple download syntax. All our maps are also available via a WebMapService (WMS). A WMS is a standardized interface that allows map sections to be accessed online and integrated into GIS and business intelligence systems.